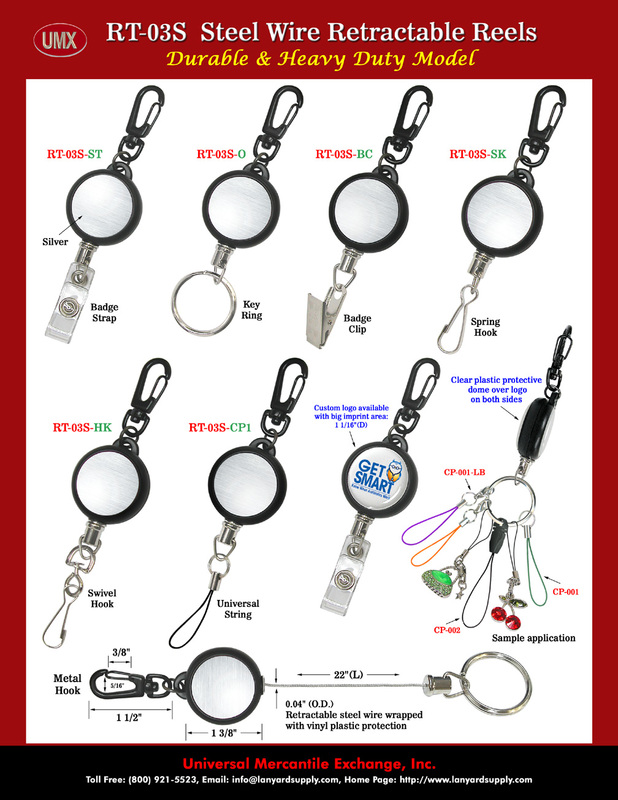 Special designed for hanging displays, electronic devices, small tools, key chains, or ID name badge holders. With key-rings(keyrings, key chains) and heavy duty snap hooks. The steel wire wrapped with vinyl plastic layer to provide protection.